A how-to guide for running a durable, stable independent consultancy. 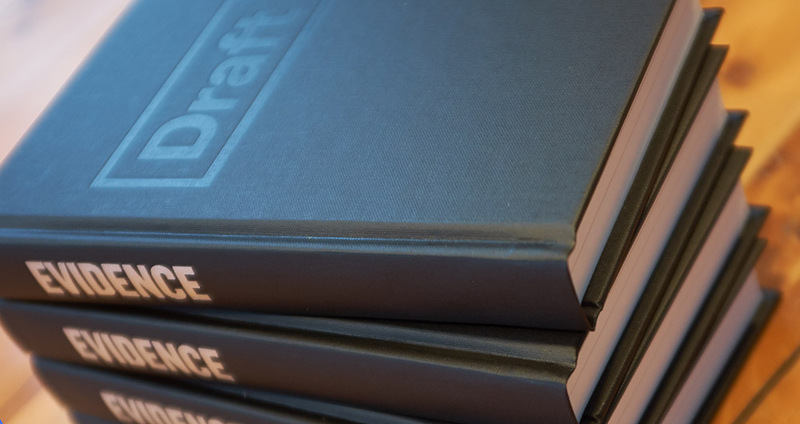 Lots of people are interested in Draft’s business model and my design practice, and I try to share everything I know – through writing, guesting on podcasts, and weekly letters that are routinely read, quoted, and shared by thousands of people. Now, our best writing is compiled in one place. Draft Evidence is a print-only book that will teach you a lot of broad strategies for creating a sustainable design practice of your own – while reclaiming the notion that a business can serve the life you want, instead of the other way around. Thanks for your interest, and I hope you have an awesome day!